There are a variety of lime based materials that are necessary and appropriate for differing kinds of requirements. However, it is possible to give a general overview of the advantages and characteristics of lime as a whole. Lime has been used over many centuries as an effective, and sometimes essential, building material. 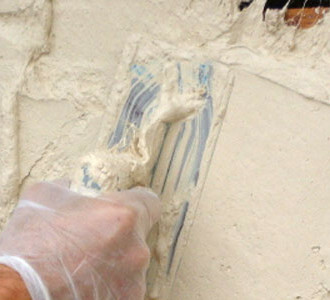 Applications traditionally include lime mortar, lime renders, lime plaster and limewashes. There are many advantages to using lime based materials over contemporary cement based alternatives. One such benefit is centred on the permeable nature of lime. Water is constantly absorbed and can pass through the material over a period of time. 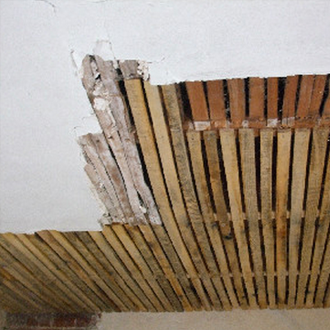 This helps to avoid a build up of moisture in the bricks and masonry of a building, a common and harmful problem associated with modern materials. The use of lime makes it impossible for soluble salts to build up within walls and attack the fabric of the building. Modern building practices are based around the theory that the inner skin of a building must be protected from moisture and the outside elements. This is achieved through various damp proofing techniques, external renders etc. The use of lime negates this requirement as moisture can be absorbed and evaporated throughout the fabric of the building. The effectiveness of lime is visible by the number of centuries old buildings that remain habitable in this country today. I’m not sure the same will be said for the buildings constructed today! Another benefit associated with lime is its flexibility and evolution over time. Lime will actually harden with age, in contrast with alternative materials that deteriorate. Lime based plasters/renders require between 7-10 days per coat to cure properly. During this process CO2 is absorbed to harden the material. This comparatively lengthy process means that compressive strength is gained gradually. This allows for movement over time and greatly reduces the risk of shrinkage and cracking. Combine this with its porous nature and buildings with lime are able to adapt and exist in harmony with their environment. Once the lime plaster/render work is complete, it is necessary to apply a breathable paint if desired. Limewashes are the best way to do this. Limewash is a type of paint made from lime and water. Colours are achieved by mixing in natural pigments. 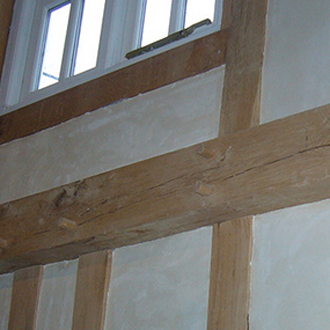 The use of limewash on lime plasters/renders is essential to allow moisture to breath throughout the material. Limewash is relatively inexpensive. However, a greater level of skill and knowledge is required to ensure a high quality finish.